The chickens available from Schneider’s Seafood + Meats are extremely flavorful due to the unique air-chilling method used. Our poultry goes through a process that involves cooling the chicken down with purified air. This allows the natural juices to stay inside the chicken and create juicy, flavorful meat. This process also tenderizes the chicken and eliminates the need for moisture to be added back into the meat later. It even cuts down on the likelihood of contamination since air-chilled chickens don’t need to be handled much during production. 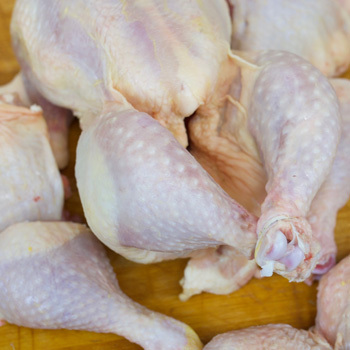 Provide your restaurant with flavorful chicken by trusting in Schneider’s Seafood + Meats to be your wholesale poultry distributor. We provide Western New York restaurants with air-chilled chickens that are uniquely processed to help keep your poultry juicy and fresh. We currently provide Bell and Evans chickens, as well as Giannone chickens, and one our representatives would be happy to help you select the best option for your restaurant.